We can also source smaller and larger sizes and lengths to order - poa. We keep tilt-fillet in stock and can cut firring pieces and other timber sections to size for flat-roof or pitch-roofing work. Unseasoned timber can have a moisture content approaching the maximum saturation level of 27%, when air-dried "in-stick" this can fall to 20-23%, and if kiln-dried the moisture level is brought down to 18-20%. Generally in a heated building, the moisture level can be 8-10%, and it is here, where the moisture level of timber is rapidly changed, that twisting, warping and splitting can occur. 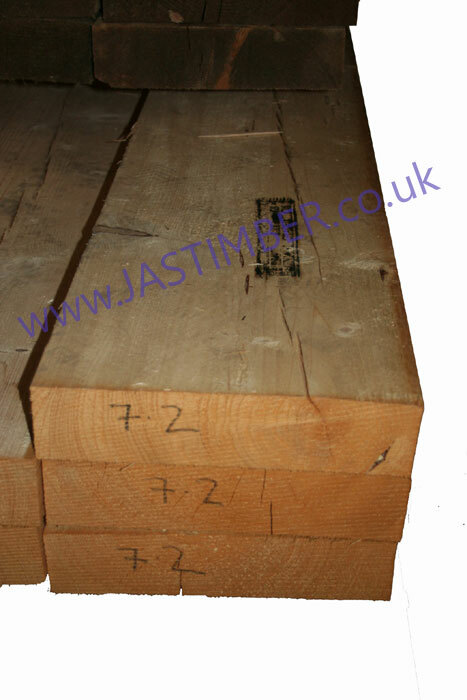 Timber will naturally shrink across it's section as it dries;­ The length is generally more stable. 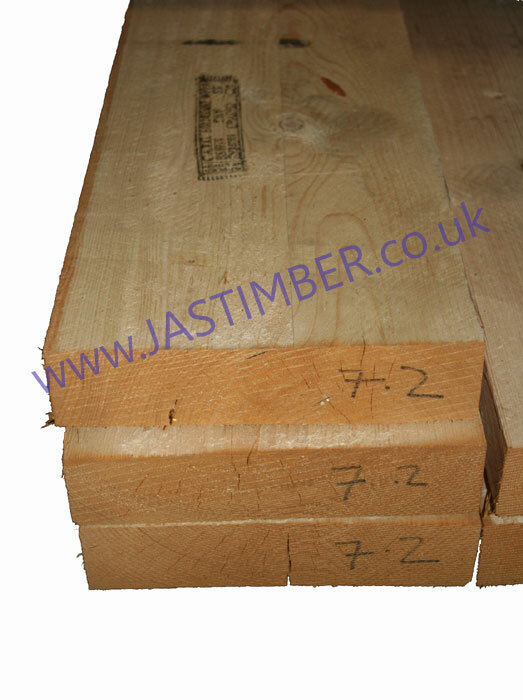 Splitting and checking can appear to be quite significant on larger section timbers, but has little reduction on the strength of the beam, and is allowed in the certi­fica­tion. - We cannot be held responsible for any variations in machined 4x12 Building Timber sizes, pattern, grading, moisture content, treatment, certi­fica­tion, knots, colour or grain. - We cannot exchange any Timber Product once work has commenced; Orders and Direct Deliveries of 12x4 Timber are supplied as a Special Order. E. & O.E. see T&C - We do try to keep prices and specifi­cations of Graded 12x4 Softwood correct, but mistakes can be made!